Emil and I both had last Friday off work and I was really keen to make the most of it and get out of London for a while. After a busy time at work, I wanted to book a night away in a city that I'd never visited before and settled on Oxford. I've heard how beautiful the city is and as it isn't too far away, we settled on that for a our little break. One of my friends, Emily, went to uni there so I was keen to get her recommendations on places to visit / eat so we could make the most of our short stay. When we first arrived in Oxford, it was a little cloudy, but we started wandering around the city and admiring all the amazing collages. I was stunned by how beautiful they were and how different the whole city was to London. After a bit of exploring, we started getting a little peckish so stopped off at Mission Burrito for a quick bite to eat, I had a rice bowl, which was delicious, and Emil had a burrito. We then wandered around the shops for a little while before stumbling across G&Ds Ice Cream Parlour. Emily had recommended we try the ice cream here and I couldn't resist. It was incredible, if you're ever in Oxford, you must try the ice cream at G&Ds. By this point, the sun had came out and it was rather warm. Emil and I then walked along the river to check into our hotel. Once checked in, we wanted to make the most of the facilities and visited the Spa. It was so perfect and a much better end to a Friday afternoon than being at work! Once we were fully relaxed, we headed back to the room to get ready for dinner. Emily had recommended a restaurant called Turl's Street Kitchen and having looked it up online, Emil and I were really keen to give it a try, the food looked delicious and it didn't disappoint. I had an Asparagus Risotto and Emil had a Beef Stroganoff. The restaurant change their menu on a daily basis, so the food is always really fresh and I think it makes a difference because the food was incredible. We then had a chocolate brûlée for dinner which (and I'm genuinely not exaggerating) was the best dessert I've ever tried, it was amazing. Once we were nicely full from dinner, we went to a bar called Freud. It's an old church that has been converted into a bar and it was the reopening night so it was really lovely, if a little strange drinking in a church! However, it was a beautiful setting and a perfect end to our evening. After a few cocktails, we wandered back to our hotel to get some rest after our busy day of exploring. The next morning, we feasted on the buffet breakfast, before checking out of the hotel and heading off. 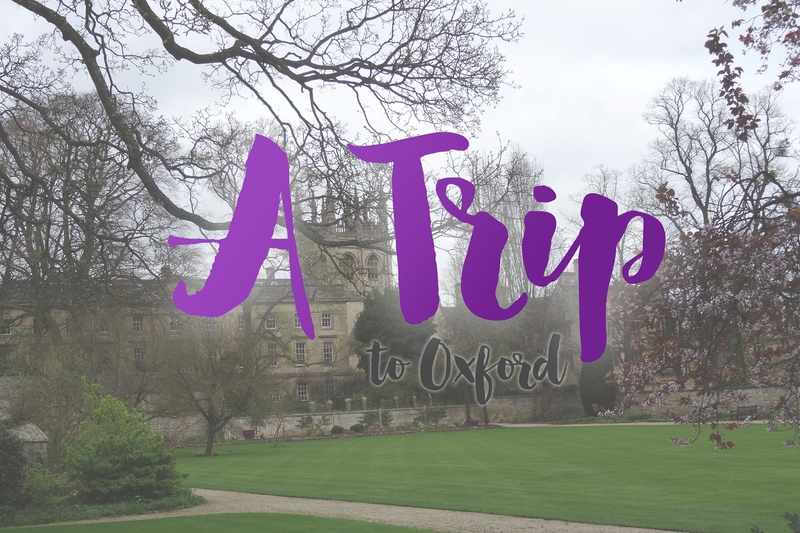 If you're looking for a weekend away anyway, I really recommend Oxford, it's so beautiful and there's lots to explore.